Hello everyone, you all will be waiting for your odd semester results. 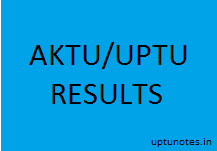 AKTU (Dr. APJ Abdul Kalam Technical University) conducted even semester examinations 2015-16 batch for all courses in May-June month and it’s the time for results now. Everyone is eagerly waiting for their results. From the university side till now there is no official news regarding the results of any course. Below is the list of different courses. As soon as the result will be declared by the university the status will updated from coming soon to declared. As the results will be declared by the university the link will also be provided here too. As till now there is no official notification from the University regarding the results. If you have any query then you can comment below and we will get back to you as soon as possible. You can also connect to our FACEBOOK page and get updates of Notes, Previous year papers and much more. So click one the like button If you like our post then do like and share with your friends.Plz do share among with your friends.